> The copyright bods are going a little crazy over this goal I'm afraid. Any links appreciated. A single goal means nothing in a career. And I say that as someone who saw Alan Ormen score "that" goal for Hibs against Rangers at Ibrox. But this was some strike from Wayne Rooney for Manchester United against Manchester City today. Out of form, miserable, maligned. He's all that and more. Is one strike enough to get him back to where he was? There have been signs in recent weeks. Maybe this was confirmation. In any event, it was some strike. What a week, what a seismic week. Scotland dismantled a side ranked above them in the world rankings. Destroyed them with a goal blitz. Who cares that the FIFA rankings are essentially meaningless or that Northern Ireland were just not very good? Actually there was a lot to be positive about after Scotland’s 3-0 win in Dublin. And that’s a nice, if unusual, feeling. But reality must strike and once again we dive headlong into the murky waters of the 2010/11 SPL campaign. H is for Hamilton v Hearts. How sorely Hamilton wish they weren’t where they are. They retain their two games in hand. But where will the points come from? Their only wins so far have come on the road, against Inverness and, most recently, against Motherwell all the way back in October. Fine results. But not enough. Organised, determined. There is much to admire about Billy Reid’s side. But if they can’t find a spark from somewhere then you have to fear that they are only headed one way. They’ll not relish a visit from Hearts today, having lost 2-0 at home and 4-0 away in their previous two clashes. Hearts now seemed destined for a best of the rest no man’s land, too far ahead to worry about a challenge from below but not close enough to challenge for second. All they can do is keep going, keep learning, keep improving. I suspect they will do just that today. Away win. Kilmarnock ended their strange run of losing late goals with an 81st minute winner of their own last time out. On the same night Hibs were finally getting a win and at last getting those much longed first goals of 2011. They are hardly dancing on the streets of Leith. But I think I detect just a glimmer of optimism, a satisfaction with some of Colin Calderwood’s additions and an easing - although certainly not a complete removal - of relegation worries. A new Hibs then? Certainly there are easier teams to prove that against and you have to suspect that Mixu would relish a win at Easter Road having lost out 2-1 back in October. Kilmarnock might find a more combatitive Hibs midfield set out to stop them playing while Akpo Sodje will provide a physical defence for the Killie defence. Hard really to predict how this one will go. Kilmarnock are strong but not without weaknesses. Hibs remain a work in progress. I’ll back a draw with both sides to score. > Colin Calderwood has suggested he's staying with Hibs after being linked with a coaching role at West Brom. I've said before that he can't be judged until he has had a period of stability as Hibs manager. It looks like he will now get that. On the whole I think that's a good thing for Hibs. After the Old Firm drama of the Scottish Cup, Walter Smith will have welcomed his players back from international duty with a number of concerns playing on his mind. Traditional worries about fixture congestion aside, the more pressing worry is if Rangers’ current form and personnel is going to be able to keep up a title challenge against what is looking like an increasingly strong Celtic. At the moment, despite Rangers’ games in hand, the title momentum looks to be with Celtic. All Rangers can do is keep grinding out wins and hope they get a break from somewhere further down the line. They absolutely can’t afford any slip-ups. The recent League Cup semi-final showed that Motherwell are capable of making life tricky for the Ibrox side but Stuart McCall is still searching for the consistency that would allow him to make a real impact. Whatever else the season holds this one is a home win for me. A cup win apiece will have gone down very well in Perth and Aberdeen, both side negotiating First Division opposition and Aberdeen throwing in a late, late winner for good measure. Both sides too will be hoping for a top six spot. To achieve that they need to win games like this. St Johnstone have struggled with a lack of goals although, in fl-hair player Steve May, they look to have uncovered an exciting young striker. Aberdeen’s Craig Brown revolution gives the impression of having stalled of late largely because of their seemingly interminable run of games against Celtic and the rather under par (ho hum) performance they produced in beating Dunfermline last week. The truth, I suspect, is that these two are likely to be evenly matched today. So a draw it is. Ten games now since Inverness enjoyed an SPL win, a run that includes a defeat to St Mirren. As Terry Butcher searches for his side’s early season form, Danny Lennon will still be smarting from St Mirren’s defeat to Hibs. In the relegation battle you can’t afford to lose to the teams around you and a defeat to a Hibs side enduring a woeful run of form has to be seen as poor result and one that pretty much denies St Mirren the chance to drag themselves out of the dogfight. Both sides will be desperate for a win today. Which allows me to sit on the fence again. Draw. Still Hibs record signing (possibly, probably. Rod Petrie doesn't discuss money, just guards it jealously) it is probably fair to say that Ulises de la Cruz didn't quite settle in his 30 odd games in Scotland. Cracking player though. I was thinking about him the other day when The Commentary Box crew included him in their SPL's Greatest Foreign XI. "Ulises wants to go beyond the limited vision of the inhabitants who consider blacks as only being capable of playing football. Ulises wants his fellow Afro-Ecuadorians to have better opportunities to improve their lives and futures. For this reason, Ulises has placed special emphasis on education and employment with the aim to develop and use the huge human capabilities of the black population of Ecuador." Now 36, and with 101 caps, Ulises plays for Liga Deportiva Universitaria de Quito (LDU Quito) in Ecuador's top flight. Ulises only scored twice for Hibs. Both coming in a win against Hearts. Did I see them? No, I was in Seville at a wedding and ended up in A and E in a Spanish hospital. Long story. I can't find those goals (give me a shout if you know where they are on the intraweb) but here's a feature on his time in Edinburgh. And, yes, it does include Eduardo 'El Tank' Hurtado. Who did, in face, tank in Leith. 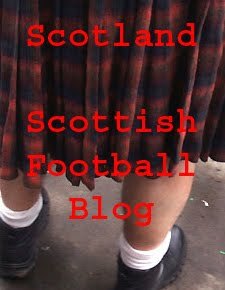 One thing - one of the many things - that the Scottish Football Blog might occasionally lack is a "view from Gorgie." I've been a puppet, a pauper, a pirate, a poet, a pawn and a king. But I've never been a Hearts fan. Thankfully, in this week of guest posts, Scott McIntosh has been and always will be. So who better to turn to for the inside track on the return of Andy Webster to Tynecastle. An interesting move for Webster. He'll certainly not want for motivation in Edinburgh with both Rangers and any doubters in the Hearts support to prove wrong. Andy Webster: Judas or the Second Coming? There aren't many things in life I make a point of organising my working and personal life around. The FA Cup Final? Definitely! New episodes of Dexter on Sky? Goes without saying! Xmas episode of Eastenders? Less so! Even after considering the pros and cons (of which there are many) of the January transfer window I would have to include it as an event that has me glued to Sky Sports News and football forum sites across the world wide web on a hourly basis up until the SFL deadline passes at midnight on the final day of the month. As a Hearts fan I have experienced some memorable transfer activity from the mass influx in 2006 which saw our squad strengthened by twelve new additions to the barren years of more recent times. This year was viewed by most of a maroon persuasion as one where we would happy just not to lose one of our prized assets and had no expectations of additions being made to the current team. The 2011 window was reaching a quiet conclusion when all of a sudden news filtered through that former Hearts centre half and current number one panto villain, Andy Webster, had been released from a contract at Rangers which still had six months to run and was on the verge of a return to Tynecastle. Here is a day to day account of how his return panned out and my own personal views of his possible return. Monday 31st January: Webster is officially released by Rangers after three years and a handful of appearances for his boyhood team. He did enjoy a very productive year long spell with Dundee Utd in the 20009/10 season which ended with him lifting the Scottish Cup as captain in his final game for the club. Possible theories as to his release include Kyle Bartley sealing a loan switch from Arsenal to Rangers and a breakdown in swap deal with Dundee United involving Craig Conway moving to Ibrox. Early reports from the Daily Record suggest Webster will sign for Hearts but no comments are made by Webster, his agent or from anyone at the club. "It's not about what happened in the past, it's about the future. He's a quality player who would improve us. If we are fortunate enough to get him back here he'll be a good signing and the owner recognises that." Reports suggest that Webster has had offers from England and city rivals Hibernian but will meet Jeffries to discuss terms. At this point fans forums reached meltdown with many debating whether a deal would be a good thing for Hearts considering the circumstances surrounding Webster's departure from the club in 2006 when he used a legal loophole to serve notice of his intention to leave the club at the end of the third year of a four-year contract. That was the first time the rule had been invoked since its introduction and the whole saga left a bitter taste in most fans mouths and is still felt to this day. It was only a few weeks ago that Webster had been booed whilst warming up in front of the main stand at a recent Hearts v Rangers match. Cries of "Judas" had become a regular feature of any match Webster featured in against the men in maroon since his controversial exit. I hold my hands up and can honestly admit to venting my feelings on more than one occasion such was my contempt towards how I felt Webster had treated a club that plucked him from lower league obscurity and nurtured him into a international class defender and one of - if not the - best centre back to turn out for Hearts during the past decade. My feelings towards him were so bitter that it led to me cheering upon hearing of him being seriously injured during his first training session with Rangers. By now a possible return had become the number topic among most of my friends. Wednesday 2nd February: Ironically a match between Rangers and Hearts was due to take place this evening but the game was taking a back seat to talk and further debate regarding Webster returning. Would it benefit the club? Would the fans who had just a month earlier goaded him accept him back? I would like to think that in the time since his departure I've learned to look at football from two angles now, the fans side which centres more around tradition and showing loyalty to your club and the view from most writers and ex-players which is that football clubs are run as businesses in today's world and the idea of player loyalty is fast becoming passe. The match itself was a tame affair with few talking points so the bus ride back home along the M8 consisted of more Webster chat. As I sat slouched in my seat a feeling of acceptance and a positive take on the transfer was now filtering through most supporters but one question remained: Would the "Judas" return? We wouldn't have to wait long for our answer. Thursday 3rd February, 18:54pm: As I approached my work I received a text from a friend and fellow Hearts fan informing me of the official signing of Andy Webster on a two and a half year deal. Rather than a feeling of closure on this subject I felt that it was only the genesis of the whole saga. Until he runs out onto the Tynecastle pitch in a maroon strip again, we can't say for sure what response he will receive from the home crowd. The only thing I can say for sure is this issue will be one that divides opinion for a long time to come, or at least until he pops up with a late winner at Easter Road. Either way James McArthur - a last minute replacement for Scott Brown - made quite an impact to mark his first Scotland start. McArthur, Kenny Miller and Kris Commons got the goals as Scotland beat Northern Ireland 3-0 in Dublin. A good start to our first Carling Nations Cup campaign. Northern Ireland weren't great but Scotland were quietly impressive. And we've not always taken advantage of failings in the opposition. So a heartening night. Weaknesses persist. But could we be seeing the emergence of a number of players who can actually provide the nucleus of a decent squad in the next few years? On international Wednesday a look at the often controversial question of international eligibility. A guest blog from Zoe Broome exploring the reasons and emotions that might be involved in making a decision about which country to play for. 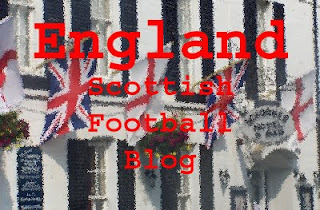 With Gary Hooper recently rumoured to be eligible for the Scotland squad, the discussion of whether players who are eligible to play for a country they were not born in should do so or not has again dominated conversations. This article will look at the discussion, especially in terms of the Irish Diaspora. As Ireland has often been a country which a lot of people emigrated from, there have over the years been a lot of eligible players born elsewhere. And a lot of these players have opted to play for Ireland. This was especially the case under Charlton but even today there continue to be players such as McCarthy and McGeady who are foreign born and play for Ireland. Whilst Aiden McGeady has opted to play for Ireland, England international Wayne Rooney has not. McGeady qualifies through both paternal grandparents to play for Ireland and he chose to do so after a brief spell in his youth career as a Scotland player. Whilst this has made him unpopular with some off the pitch: a mild example of this being that some Scots regard him as a “traitor”, on the pitch McGeady plays as well for Ireland as he once did for Celtic. This could be seen as an argument that, in spite of McGeady being born in Scotland, he feels patriotic about Ireland and he is willing to try hard to be a success for his grandparents’ country. Rooney instead chose to play for England. Whilst he has been a successful player for England and has perhaps achieved more than he would not have done for Ireland, there was a feeling at the 2010 world cup among some England fans and commentators that he did not play as well for England as he does for Manchester United. Most of these critics cited wages as being the problem, and certainly the EPL does play its players very high wages. But another problem may be a lack of passion. Often Rooney does not, for example, sing the English national anthem. If Rooney was raised in a community which had more in common with those in Ireland than with the average non-Diaspora community in England, and one which prided itself on being Evertonian with Irish roots rather than on its Englishness, English patriotism might not come naturally from his upbringing. And, there are certain ways in which a sense of Englishness would clash with a sense of Irishness: for example, pride in the British Empire. This would make it difficult for him to feel any sense of English patriotism which could help him to try hard for England. What Hooper should do depends, then, on how he was raised. If he was raised in a family which regarded itself primarily as English: as is likely considering his grandfather was from the Scottish Borders but born in Berwick and the only possibly non-English member of the family, then he will probably try hardest and play best for England. However, if he was raised with any sense of Scottishness (especially Scottish nationalism) then the England squad and certain elements of England’s support may feel jingoistic to him, and put him off. If this is the case, it is best he opts for Scotland where he can take pride in his efforts for the country and try his hard to be a success. International week and all eyes are on the stadium formerly known as Lansdowne Road as Scotland make their debut in the Carling Nations Cup. Making their debut and already playing catch-up after Ireland set the early pace with a 3-0 win over Wales last night. Ewan Murray has more on the background to the tournament on The Guardian sports blog including the travails the Irish FA have been having with ticket sales. Fewer than 20,000 were at the Aviva Stadium last night with tickets hardly flying out the door for this evening. I like the idea of a structured competition with some local Celtic rivalry replacing the normal sea of meaningless friendlies. But its probably fair to say that, so far, the tournament hasn’t really caught the imagination. England’s absence is hard to ignore and I’m not a huge fan of the one venue format. Still, worth a try and worth winning the shiny new trophy* for a moral boost for Craig Levein’s squad. Darren Fletcher’s withdrawal - credit due to the Manchester United midfielder for how rarely he’s done that over the years - gives Kenny Miller the chance to captain the squad. It’s been quite a 2011 for Miller, what with being the biggest thing to hit Turkey since Bernard Matthews and donning the armband for the first time. In Fletcher’s absence my own choice as captain would be Craig Gordon but with Gordon withdrawing and Allan McGregor retaining his spot in the starting line-up, Miller’s experience probably makes him the right choice with a new look side taking the field behind him. A new look side although no new names. The plan seems to be a 4-4-2 with Craig Levein suggesting that he’s been rethinking the defensive tactics that led him to that unforgettable 4-6-0 formation against Czech Republic. Adam and Brown are new central midfield pairing. Adam's season has been documented to the point of saturation while Scott Brown seems to have been rediscovering a certain spark in the last few weeks. Scotland are unlikely to replicate the tactics both have found comfort in at club level though so it will be interesting to see how they cope. Levein has spoken about this being an inexperienced side. But every player is already an international and none are exactly untested youngsters. I have to admit that a central defensive pairing of Steven Caldwell and Christophe Berra doesn’t inspire me. But the only other options in the squad are Danny Wilson and Grant Hanley, neither of whom has played much first team football. But the risk averse Levein has picked, albeit in a different formation, the most experienced squad at his disposal. If the midfield doesn’t click and the centre of defence is left exposed we could have a few tricky moments. Better to be optimistic and predict that we take the game by the scruff of the neck with an emphatic display of our attacking intent. Northern Ireland have been hit by a succession of withdrawals but the home based Scots could be facing some familiar foes with seven SPL players in Nigel Worthington’s squad. Craig Levein is going to be hugely disappointed with anything but a win from this one. If the midfield can find an immediate understanding I think we should be OK. Maybe that’s a big “if.” But I’ll back Scotland to win 3-1. * The inspiration for the trophy was Dublin's Aviva Stadium, which will play host to the Carling Nations Cup tournament, between Republic of Ireland, Northern Ireland, Wales and Scotland. The trophy is silver plated, incorporating four coloured rods representing the four teams with the names of the countries engraved around the centre band. Cuts. The new age of austerity. Money too tight to mention. Not in the English Premier League this January transfer window. Chelsea, Liverpool, Manchester City and Aston Villa all spent big. And everyone of them threw cheques at attackers. Money might have grotesquely disfigured football. But the essential simplicity of the game remains. You have to score goals to compete. And you have to compete with massive money to score goals. What do we want? Goals! When do we want them? Now! And we are prepared to pay for them!! The January transfer window has a reputation as being a bit anti-climatic. All talk, no trousers. Damp squib. Any others? Pointless? But not this year. The English Premier League is known as the most exciting league in the world and I think that is in no small part due to how much teams are willing to spend on strikers. Firstly, and it almost seems to have snuck under the radar, Manchester City stumped up from of their vast reserve to buy in the ‘Bosnian Diamond,’ Edwin Dzeko. After tallying 66 goals in 111 games for Wolfsburg he’s arrived at Eastlands to help out the one man attacking unit that is Carlos Tevez. At a cost of £27million, he isn’t a gamble for City who don’t need balance books (yet). It does look like he will require City to change their tactics though, and play two up front. Maybe with a bit more attacking intent. We live in hope. Villa were next up. Splashing £18million and rising on Darren Bent. Say what you want about him, he scores a lot of goals, where ever he’s been, however good his team. At Tottenham, where a terrible miss and lack of interplay ultimately cost him, he is perceived to have failed, but scored at a healthy ratio. Villa need goals and they need them now, Darren saw something there which made him decide it was a good career move to drop around 10 league places. So the deal was done. ‘Crazy money!’ People cried. Little did they know what was coming on deadline day. Torres £50m, Carroll £35m, Suarez £23m, plus David Luiz for another £25m. Big, big deals. Liverpool could have waited to sign Carroll in the summer and maybe got a better deal. But in an interview with the Guardian John Henry (Liverpool’s new owner) said the team still had aims for this season, and Carroll would help them meet them. He also, interestingly said the price of Torres was dependent on how much Newcastle wanted for Carroll. His negotiation tactic was he wanted Carroll plus £15million for Fernando Torres. I’d say (laying aside the mind boggling sums of money for a second) that’s a good deal. Add in the sale of Babel and Liverpool are only £2.5million worse off, and probably have a better squad. They failed with a last minute £14 million bid for Charlie Adam. He would add something to them, but is worth more than that to Blackpool who, in my opinion, need him to stay up. But he wont last till next season and, even if not to Liverpool, I think he’ll leave after being denied his big move. So who has come out of this well? I think everybody except Sunderland. They don’t have a replacement striker. And none are in sight. Yes, they have the money but players who cost that much might now want to play for Sunderland, no matter how high up the league they are at the moment. They need consistency at that level to draw in big names. Without their big player that may prove difficult. You can repeat that last paragraph but read Newcastle instead of Sunderland. Chelsea gave their team a lift, splashed some cash and said “we are contenders” and Liverpool can now think about who is coming in, not worrying about who is going out. Did Arsenal need a centre-back? Tottenham another striker? Maybe. This season has been damn good so far. Thrills, spills, big transfers. Now the trophies are up for grabs from here on in. The Carling Cup must surely be Arsenal? The Champions League is Barcelonas to lose? The FA Cup is far too early to even guess. But, Chelsea? Well, Manchester United are a good few points ahead and tend to get stronger in the spring. I’m going with Manchester United, although I think it will be a proper title race, with Chelsea, Arsenal, and Manchester City all hopeful of a late burst to the line. Totally incompatible with modern football? Or an integral part of our experience as supporters that a whole generation of fans is being denied? I'm delighted to welcome Aidan from SafeStandingScotland.co.uk to stand up for standing up. I'll admit to a certain ambivalence. I've stood at many grounds before but I started going to games as seated family enclosures became the norm so I've grown up at the tail-end of standing as we moved towards all seated stadia. As much as I enjoy standing at grounds where it is an option I don't have a real emotional attachment to old style terracing. I would really appreciate your thoughts on this one, genuinely interested to know what people think. Safe Standing Scotland is a campaign which aims to pressure the SPL into reintroducing standing areas in the form of 'Safe Standing' terracing which is used most famously in Germany. We believe that fans should have the choice whether to sit or stand. The SPL should cater for all fans preferred choice. The genius of this new modern terracing is that it can easily be transformed from a standing area to a seated area when the club needs a seated area, for example if the stadium is hosting a concert. 1. Removable seats and safety barriers - Seats and barriers are simply bolted into brackets to allow either standing or a seated area. 2. Fold away seats - Like before barriers are removed but seats are unfolded from below the floor. The campaign notes that not all clubs can afford to redevelop stadia or indeed they may not have sufficient demand to justify redevelopment. We say to these clubs to set aside a specific area of their ground strictly for fans who wish to stand. By having them stand in front of allocated seats in a properly stewarded area it would ensure their would be no over selling of the area or crushes. This can be done very easily by SPL member clubs or indeed any all-seated club in any division and would increase the match day satisfaction of fans who wish to be able to stand. The campaign started after SPL Chief Executive Neil Doncaster stated that he was open-minded over the issue. A Facebook group was set up to see if anyone would be interested in forming some sort of group. At the moment we are just shy of 3000 members and have started our own independent website. Neil Doncaster approached us to discuss the issue. He very much agreed that clubs should be looking for a more common sense approach to standing instead of over zealous stewarding which can be seen at Celtic Park on a weekly basis in both the home and away ends. Although the issue is not set in Scots Law (unlike standing in England and Wales) we are asking fans to contact their MSP through our website. This is because we feel that it adds weight to the campaign. So far a handful of MSPs have pledged support and journalist Graham Spiers has stated that the more he thinks about it the more he likes the idea. We ask all fans to contact us through our website if they receive replies, positive or negative, as it's important we see what has been said. By allowing standing areas it will act as the catalyst in the solution of many areas which have proved to be problematic. Atmospheres at SPL matches are, quite frankly, dire and by having an area for fans who wish to stand it will allow supporters to congregate and generate a better atmosphere. The idea that there would be no difference from seating to standing is idiotic. Whether you are at a religious service or a heavy metal rock concert you stand to sing. It is not natural to sing when sitting. Standing areas and the atmosphere which would entail will entice young people to attend matches who have been turned off going to games due to a number of factors. Why would any young person who has the choice to attend a gig choose a plastic bucket seat over standing? We need to encourage the next generation into the game and creating designated and safe standing areas would do this. Terracing is not a thing of the past. It is our future and we must fight to make sure those in charge of our game do what the fans want. As Neil Doncaster said “These things are generally driven by supporter demand”. We need to show that there is supporter demand and we have an online petition which can be found at SafeStandingScotland.co.uk. Time is, once again, my enemy this Sunday morning. A quick look, then, at today's games. Including the big one at Pittodrie. Odd to see Rangers and Celtic meet so early in the cup, giving us our second of three Old Firm games before 2011 is two months old. A look at the league table shows Rangers playing catch-up but their games in hand suggest the situation is far from desperate. But there is a clear feeling that the momentum has swung in favour of Celtic, the team that cruised to a 2-0 win at Ibrox on 2nd January and demolished the challenge of Hearts just days after Rangers had capitulated at Tynecastle. That makes Celtic favourites going into this one. But, and please duck if you're standing outside my flat, derbies are a time for flinging the form book out of the window. El Hadji Diouf starts for Rangers to add an extra dimension to the usual peripheral issues that attach themselves to this game. Leaving aside Diouf's past indiscretions - a list as long Hen Broon's arm - his signing is a signal of Walter Smith's discomfort at how this season is unfolding and what he clearly sees as limitations in the quality and depth of his squad. There is, undoubtedly, a level of pressure on Diouf and Nikica Jelavic to make an impact and provide Rangers with a cutting edge that Kenny Miller's departure has robbed them of. It's a big ask. Neil Lennon got his tactics completely right in the face of an underwhelming Rangers performance in the last Old Firm game. I'm slightly surprised that he's switched back to a 4-5-1 for this afternoon with Stokes dropping to the bench and Hooper alone up front. A lot of goals to take out of the team. It means there is likely to be a battle between two five man midfields. Might a midfield battle suit Rangers more? Certainly their is more fluidity to this selection and it means Celtic have strength to call on from the bench. It also suggests that Neil Lennon is not yet ready to write off Rangers' challenge. The stakes are high. A single Scottish Cup could shape this Scottish season. Rangers will be out to show they are not the mugs some have taken them for. Celtic will be hoping to press home the advantage that a strong January has given them. A tough game to call. Form suggests Celtic. But is this Rangers squad really ready to roll over at this stage of the season? I'm not making this prediction confidently, we might even require a replay. But I can see Rangers sneaking this one today with stubborn, obdurate performance. A visit from a club riding high in the first division would normally be enough to send shivers down the spines of an Aberdeen squad. Especially a group of players who seemed to rediscover many of their old frailties in shipping seven goals in a double header against their traditional tormentors Celtic. But Craig Brown is certainly building something different, something new at Pittodrie and beating lower league opposition is something he will expect from his players. For their part Dunfermline are second in the first division. I worry though about their results against league leaders Raith Rovers this season. Can we see a Dunfermline squad who struggle to cope in big games? Or might a televised clash with an SPL team free them from the worries of local rivalries and play without fear? I suspect this might be too much for Dunfermline with Aberdeen winning by a couple of goals. A moment of repose before the big day ahead.